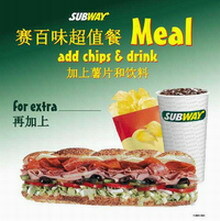 There are 29293 stores of Subway in 86 countries now, among which 71 stores are in China. In Hangzhou, there is only one chain store, but it is located very near the city center, it is easy to reach there when you have a city tour, and have a decent quick lunch or dinner. Add: 407 Ti Yu Chang Road, Suite 906,HongDu Business Bldg, Hangzhou. Jiu Bai Wan Noodle Restaurant is a local Chinese noodle restaurant. There are many chain stores in Hangzhou city downtown. 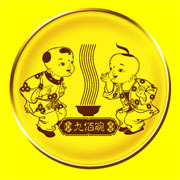 Noodles are one of the most typical type of Chinese noodle. In Jiu Bai Wan, you will have a chance to taste the most amazing noodles in duck meat and dried Baoboo soup. Zhi Wei Guan Restaurant, is a Dim Sum restaurant attracts many local people and tourists every day. It sells all kinds of different Chinese style Dim Sum, like dumplings, noodles, Steamed dumplings, etc. 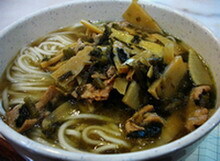 One of the very special Hangzhou food that you can not miss is a kind of noodle called (Pian er Chuan?). you can not have it anywhere else in the world. it is made with slice meat, bamboo shoot and pickles.